Enjoy this free Chess Tutorial by Grandmaster Igor Smirnov. Hi, I am Chess Teacher GM Igor Smirnov. Here is the lesson “The Most Common Mistake”. I hope that you have studied the lesson “Finding the Best Moves; Quickly” already. Please, remember to practice these recommendations and to automate the appropriate skills! Today we will go forward in your chess development and we will discuss “The Most Common Mistake”. Most chess players make this mistake and don’t even realize it at all! However, it is quite a simple idea. So you will be able to use it right after a study of this lesson. As a chess teacher, I analyze my pupils’ games regularly. Of course, I analyze games of other players as well. That’s why I can tell you that there are a few most common mistakes, which most of players make often. So in this lesson, I am going to tell what the most common mistake is. Well, to be honest, I am not totally sure whether it is the most common mistake or not, but it is definitely one of them. Let me give you a little task. 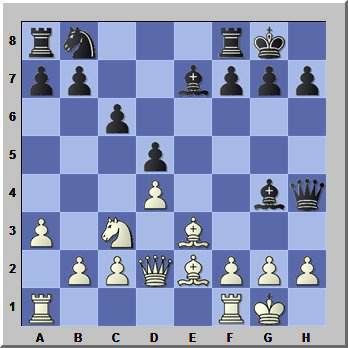 White: Kg1, Qd2, Ra1, Rf1, Be2, Be3, Nc3, Ne5, pawns: a3, b2, c2, d4, f2, g2, h2. 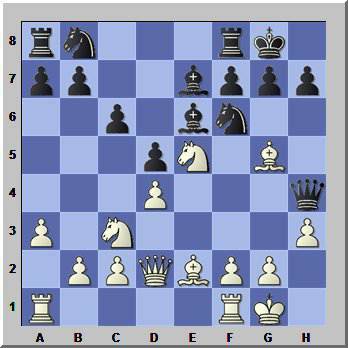 Black: Kg8, Qh4, Ra8, Rf8, Bc8, Be7, Nb8, Ng4, pawns: a7, b7, c6, d5, f7, g7, h7. It is white’s turn here. Please, think about it for a moment. What would you do here as white? What is your intuitive impulse? Black is obviously threatening to take the h2 pawn. It looks frightful and most players would take the g4 knight quickly. Usually, we even don’t think about moves like that too much and make them automatically. 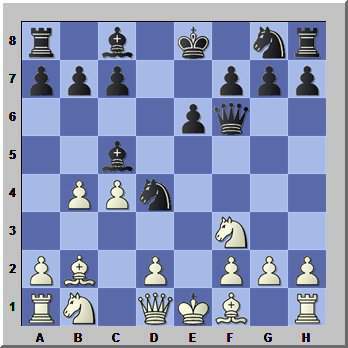 In this game white played 13.Ng4. After 13…Bg4 the position became equal. At the end, white even lost the game. Now I’ll tell you one very important thing. I want you to remember it very well. TO TAKE IS A MISTAKE! There is a bit of a rhyme here actually :), so I hope you’ll remember it better. I don’t know why, but most chess players like to take very much. They do it automatically every time it is possible. However, most often, “to take is a mistake”. When you take something by yourself, you usually help your opponent to be more active. An opposite rule is fair as well: when your opponent takes something, he helps you to increase your activity. Let’s go back to the starting position of our example. 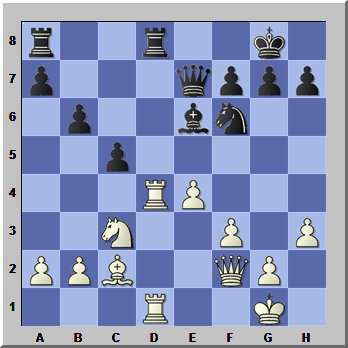 When white takes 13.Ng4, white helps black to develop his bishop. So white is not only wasting time, but is helping the opponent! OK, now we’ve decided white should do something else here. If you start thinking about it, you will easily find other options. First, white can keep the tension, playing 13.Bf4. 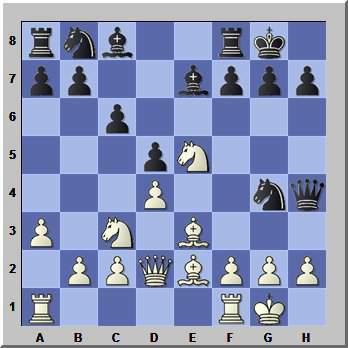 Now if black takes on e5 13…Ne5, it helps white to activate the bishop 14.Be5. By the way, the black bishop is still on c8. Thus, this variation is much better for white than an immediate capture on g4. Secondly, white has the counter-attacking move 13.Nf3. Again, white is avoiding an exchange and is keeping the tension. After 13…Qh5 14.Bf4 white has a huge advantage. 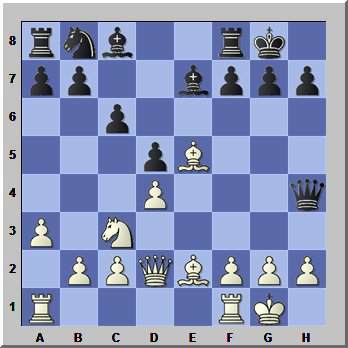 For example, if black does something simple like 14…Be6, then after 15.h3-Nf6 16.Ne5 white is winning, because the queen is trapped. For example in the line 16…Qh4 17.Bg5. This example is very instructive. If white takes, the position becomes equal. If white doesn’t take, he is nearly winning. 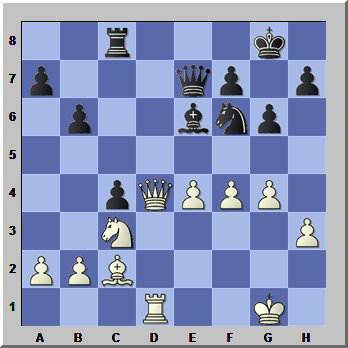 White: Kg1, Qf2, Rd4, Rd1, Bc2, Nc3, pawns: a2, b2, e4, f3, g2, h3. 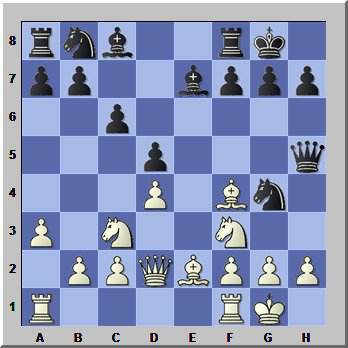 Black: Kg8, Qe7, Rd8, Ra8, Be6, Nf6, pawns: a7, b6, c5, f7, g7, h7. What should white do here? I hope it is simple for you now: the main thing is that white should not take! 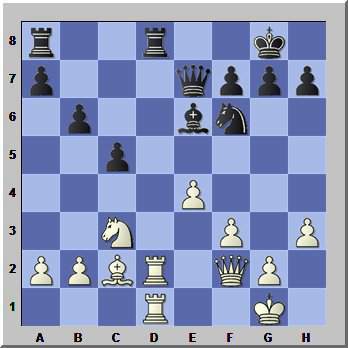 If white makes this mistake - 21.Rd8, then after 21…Rd8 the position is equal and black has no problems. Thus white should keep the tension and allow black to take. That’s why he played 21.R4d2. 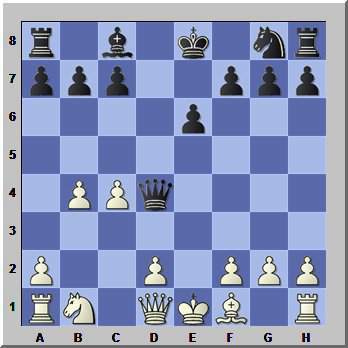 It is quite demonstrative, that white got a winning position just after the next few moves. 21…Rd2 22.Qd2. Now white is controlling the open file. 22…c4 23.f4-g6 24.Qd4-Rc8 25.g4. 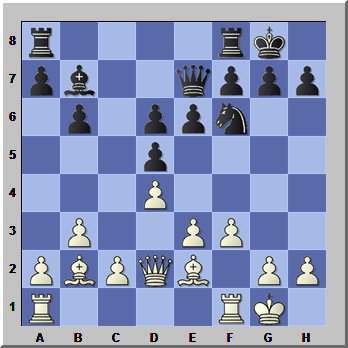 White has a decisive positional advantage, because of his strong attack on the king-side and in the center. Let’s look at a more difficult example. Zukertort J. – Blackburne J. 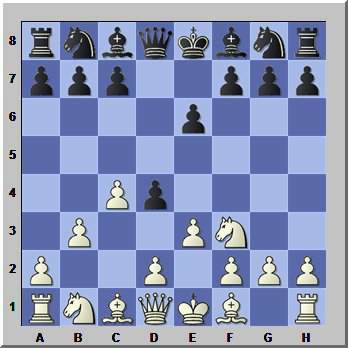 White: Kg1, Qd1, Ra1, Rf1, Bb2, Be2, Nd2, pawns: a2, b3, c4, d4, e3, f2, g2, h2. 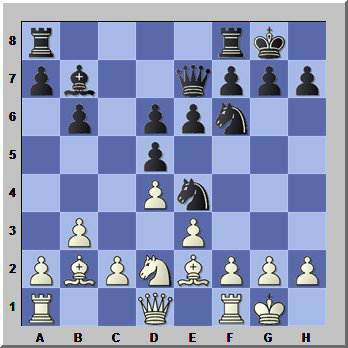 Black: Kg8, Qe7, Ra8, Rf8, Bb7, Ne4, Nf6, pawns: a7, b6, d5, d6, e6, f7, g7, h7. Here it is definitely a time for an exchange, or is it? It seems like white can’t avoid the exchange. However, we should not forget that “to take is a mistake”. So even if you are going to trade the knights, it is better to play 13.f3, than to take by yourself with 13.Ne4. 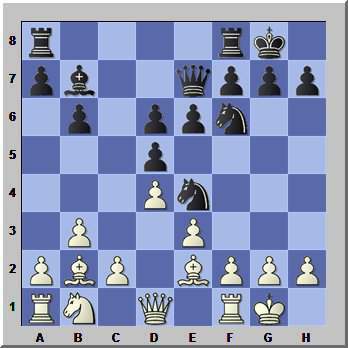 Secondly, if you think deeper about the position, you will realize that black really wants to exchange his e4 knight. This knight has no other options and no available squares to go to. 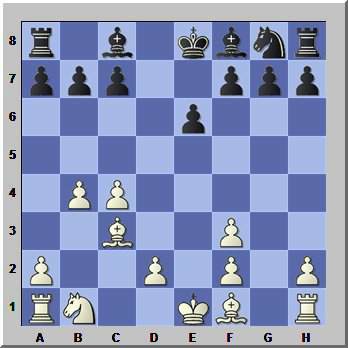 Therefore, white may try to trap the knight, and white needs to prevent an eventual exchange first. This is how we can come to the move 13.Nb1. Though it looks strange, it threatens f3 capturing the knight. For example in the line: 13…Rac8 14.f3-Ng5 15.h4. So black is forced to defend. Probably, he should play 13…Nd7, then after 14.f3-Nef6 white can bring his knight back into the game 15.Nc3. Here, white has a stable positional advantage. In the game, white simply played 13.f3. There followed 13…Nd2 14.Qd2 and the position remains approximately equal. You can see again, how powerful the idea of avoiding exchanges can be. Finally, I’d like to show you one game, where the topic of this lesson was the bottom line for the whole game. Grigoriants S. – Shirov A. 1.c4-e6 2.Nf3-d5 3.b3-d4 4.e3. Starting from this position, there will be a possibility for an exchange always. Let’s see how both players will deal with that. 4…Nc6. It is logical, since we are trying to keep the tension. 5.ed. White took the pawn, which helps black to activate his knight. This is why we should not take usually. 5…Nd4 6.Bb2. Right, white is trying to force black to take on f3, which will activate his queen. 6…Bc5. Black is still keeping the tension. What should white do here? I am pretty sure that a lot of players would take on d4. However, “to take is a mistake”. If you understand this well enough, you will always look for something else instead of an exchange. 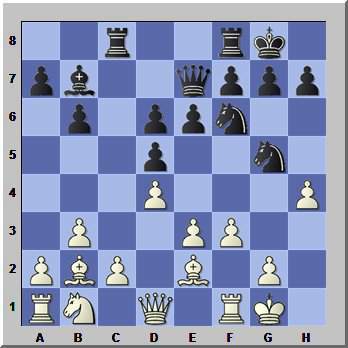 This is how white found the best move 7.b4! Now black has the same problem. It seems like he has to take on f3 finally. Although, black played 7…Qf6! He is increasing the tension which is definitely the right idea. Here white gave up and played 8.Nd4. 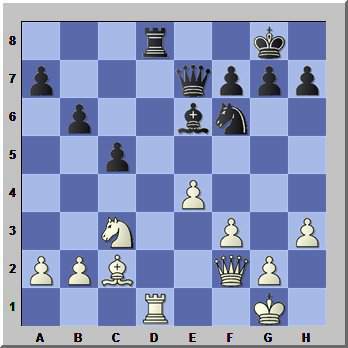 Then after 8…Bd4 9.Bd4-Qd4 black got a stable positional advantage, because of white’s weaknesses and the active black queen. Black realized his advantage quite easily and won the game in the end. Let’s go back to the last critical position. Is there any way for white to continue keeping the tension? White’s main problem is the weakness of the b2 bishop. Black is threatening to take it after Nf3. 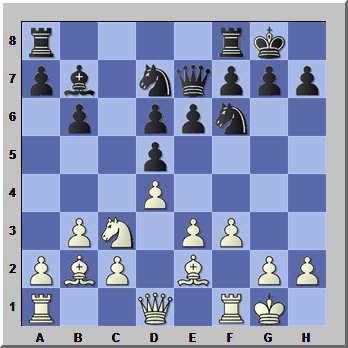 So it is enough for white just to protect the bishop and to play 8.Bc3. Now black has to take 8…Nf3 9.Qf3-Qf3 10.gf. The black pawn on g7 is hanging. 10…Bf8 is the only move. 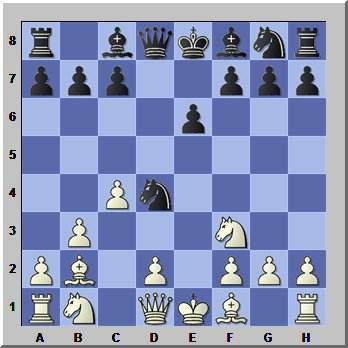 In the final position, white is very active; he can use the open “g” file with Rg1, he can play d4 to create a strong center, so everything is good. It is quite pleasant to play such a position practically. You can see that the simple rule “to take is a mistake” has the great value. By the way, it is important to note that in the last example, black won against the strong Grandmaster, just using this advice. So I recommend you to do the same! If you remember this advice and follow it in your games, you will play more interesting games with much better results!